My latest purchase from China has eventually arrived – surprisingly without any additional customs fees and any further delay. It may look like a cheap world receiver from China – it is indeed – but this machine is a DX goddess. And this already without any modifications. 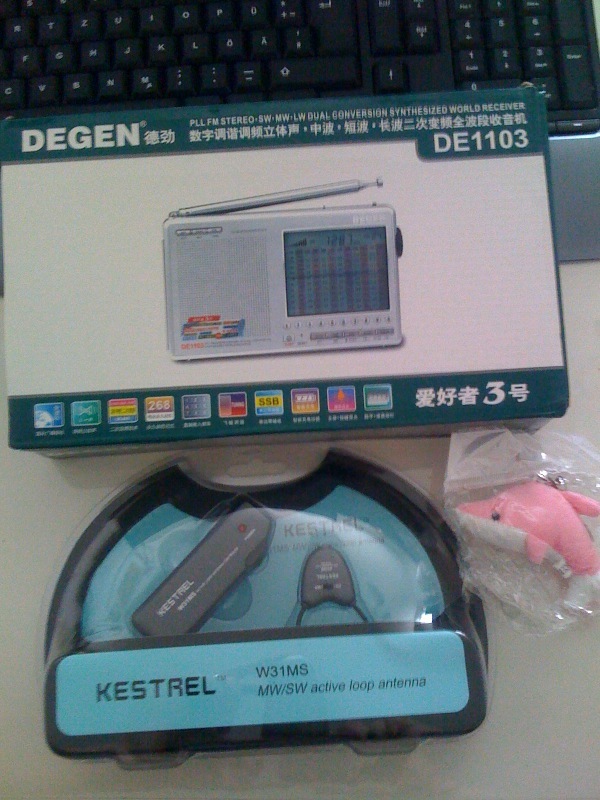 Also bought the pictured external loop antenna to see how it competes with my other antenna.